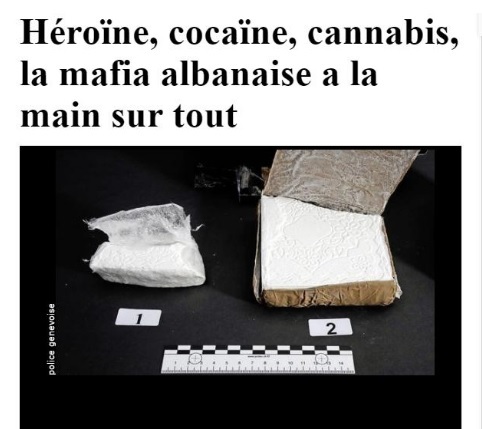 "Albanian Mafia has taken control of traffic of all kinds of drugs," wrote today Swiss newspaper "Le Matin Dimanche". According to the newspaper, the distribution of drug trafficking passed into the hands of Albanians from Kosovo and Albania, while speaking in mafia environments are dominating clan ties with their codes. "There is no Don Corleone, a power of one man. But many small networks coexist. We are not clear about who controls", said Olivier Guenin of Swiss anti-drug Police. In Switzerland every year is consumed about 8 tons of white powder and about two tones of 2 heroine, while in recent years the authorities have noticed an increase in drug consumption.